CFA Archaeology > Home Page > Home: News > Riddles Court, Edinburgh – Project Update! 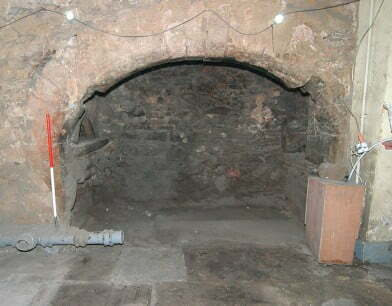 CFA is carrying out a programme of archaeological recording during the refurbishment of the Category A Listed 16th century courtyard building at Riddles Court, Lawnmarket, Edinburgh. The refurbishment is funded by a HLF grant of £6 million. The refurbished building is due to be opened in 2017 as the new Patrick Geddes Centre, a centre of learning and office space. An initial phase of historical research and building recording had enabled us to develop a preliminary model of the building’s evolution over the last 450 years, but this model is being challenged by the findings that are being made during the refurbishment. Over the years, the building complex has undergone many stages of alteration and repair, some of which, particularly in the 1960s were damaging and intrusive. As wall linings and partitions have been removed by the main contractor, John Dennis Ltd, historically significant architectural features have been exposed including painted ceilings and five hidden fireplaces dating from the 16th and 17th centuries. The most impressive fireplace was hidden behind a ground floor wall in the ladies toilet. 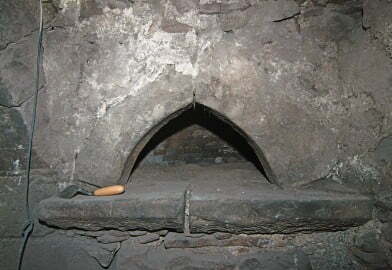 We knew from historic plans that a small 19th century fireplace had at one time been present at this location, but we had no idea that this small fireplace had been built inside a much larger 16th century fireplace, with a surviving bread oven and salt press. 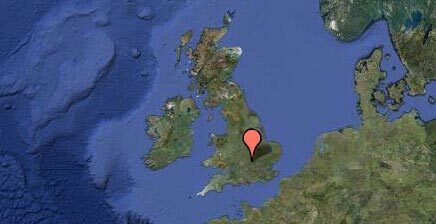 The bread oven was bee-hive shaped and lined with clay bricks. It would have been fired using wood then raked out when it was at the right temperature. Salt was a precious commodity in the 16th century, and hence it was usually kept safe and dry near the fire in a salt press. A fireplace of this type is an incredibly rare survival in Edinburgh. A painted ceiling in the Beam Room on the first floor dates from 1598. The ceiling was created to commemorate the occasion of a royal banquet, hosted in this room by the city elders in honour of the Duke of Holstein, brother-in-law to King James VI, who was on an official visit. In a room next to the Beam Room a set of painted timbers were revealed during the removal of a 1960s period plaster ceiling. Although only a single painted board has survived the painted beams have fared better and eventually these will be cleaned by a conservator and left on show to the public. This find indicates that the whole of the first floor was probably used for the royal banquet. 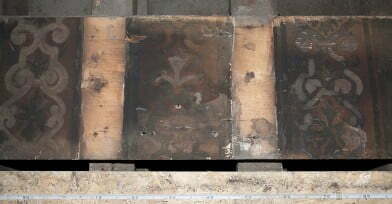 Ornate tempera paintwork has been discovered on two ceilings on the second floor. Preliminary investigation work has shown that these are extensive and indicates that the second floor was also of high status. The archaeological work is likely to run into the summer when new areas of the building become accessible and we suspect that more surprises will come to light.